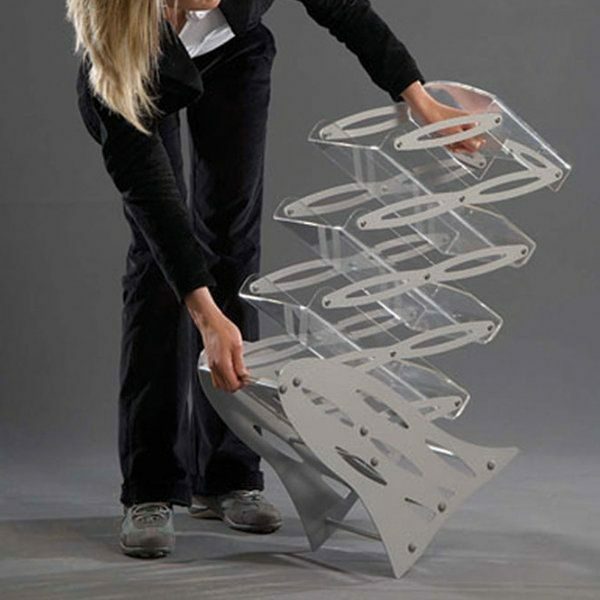 Packing Size: 18.90" x 18.90" x 11.81"
The portable Zig-Zag Rack has 3 shelves of 8 1/2″ x 11″ capacity and a header on the top. 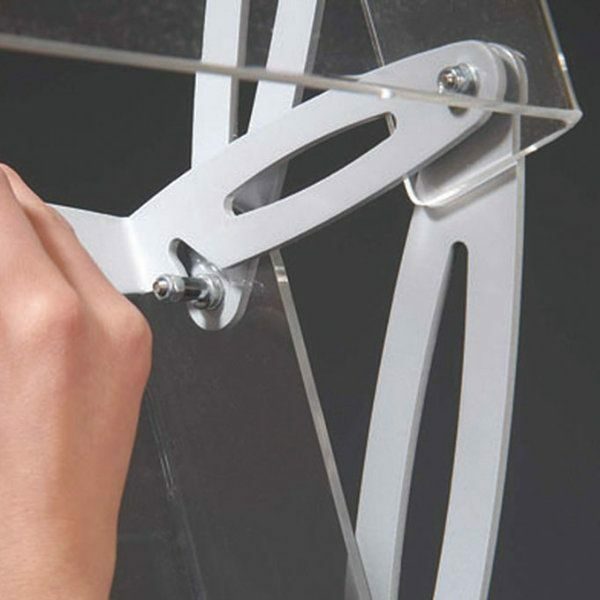 Shelves are made of 3/16 inch (4 mm) acrylic. All the aluminum parts are RAL 9006 powder coated. 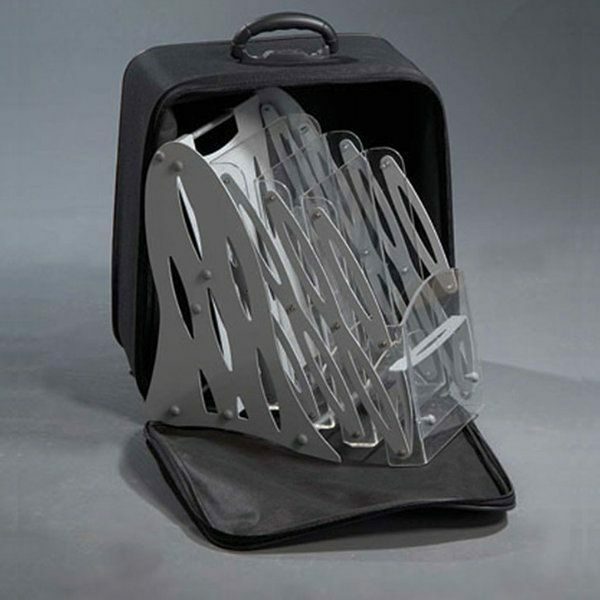 No tool assembly, easy to pop-up & ready to use. Lock the header arm on the top for stable display. 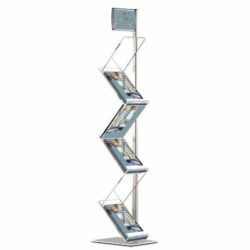 It is very important to create inviting stands in the trade shows; they should be organized, informative and attractive at the same time. 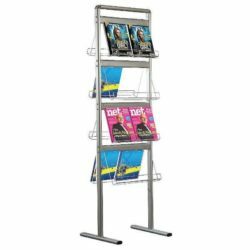 This tradeshow literature rack is very convenient with its easy set up and generous display area. The pockets are great to store pamphlets and magazines in neatly. 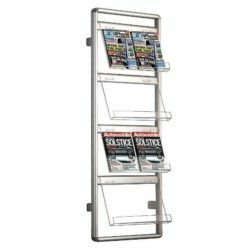 The practical and unique design of this magazine display is ideal for businesses that frequently attend tradeshows, exhibitions and conventions. 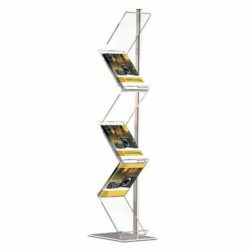 With its upscale and contemporary look, the tradeshow literature rack will surely be a warm welcome in your booth for your visitors. They will practically have the opportunity to get the informative material regarding your products and services to take home and have a look when they are peacefully sitting in their living room to make their decision! 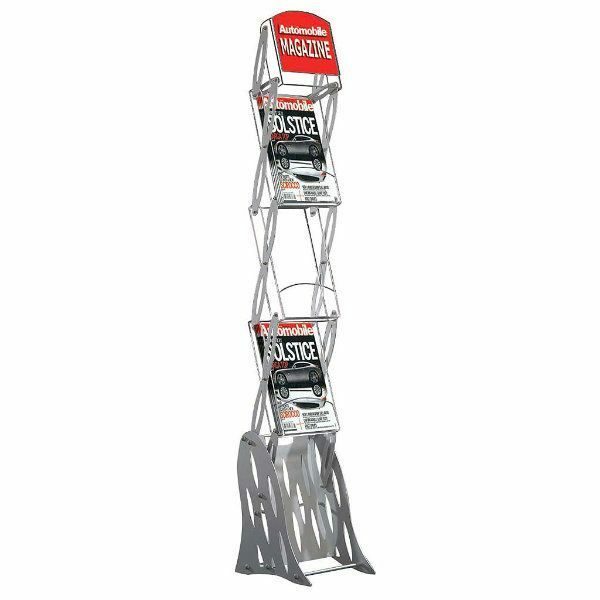 Beside all the design attributes the brochure stand is durable, stable, lightweight and yet very versatile. Set up is easy; just take out of the package , and pull the pockets upward. 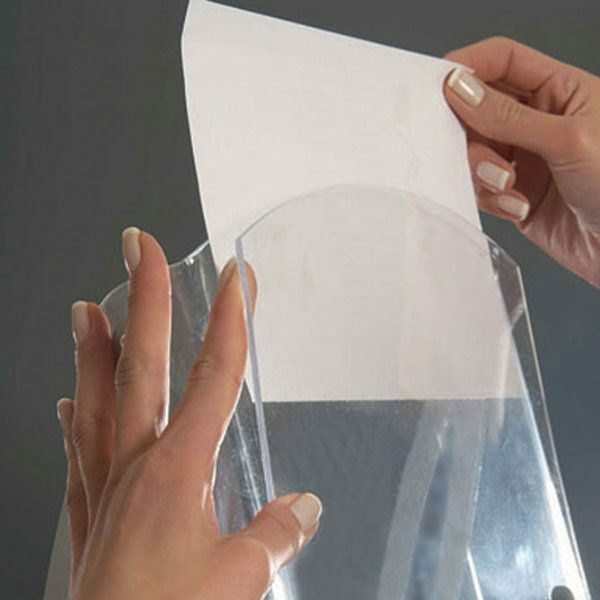 And store your brochures or any literature you want to display in the acrylic pockets. Remember pockets can accommodate 8.5″ wide x 11.5″ high literatures. 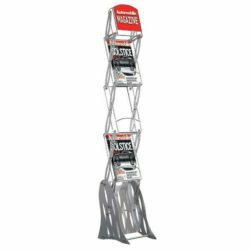 This versatile brochure stand is very handy because when you are finished, you can just fold it and carry back with you! 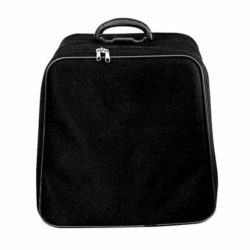 The carrying case is sold separately.